hope you like them! I tried to be creative with them! I'm all out of names, but I would be happy to do some art for the website when you lovely moderators have chosen a new name for the server, if thats alright. Some of these might have been used by other people so if they are sorry about that but hopefully some of these are good names for the server if you guys haven't decided on a name yet. A name has been decided! 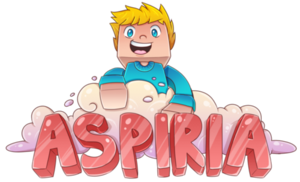 Aspiria, since the name was mentioned by nobody we will give out the prizes in a different way! The top 3 people that posted the most messages will each receive $10 to redeem in the store. "New World" or "New Town"
The name is already decided lol.